Creates an outer shield with time-enhanced durability that protects Vinylux Weekly Polish from scratching, denting, chipping and dulling for up to a week of wear. Activates cross-linking polymerization which increases durability when exposed to natural light. Dries faster for out-the-door service. For week long wear when used with Vinylux Color. The final layer that completes the Vinylux Polish System. 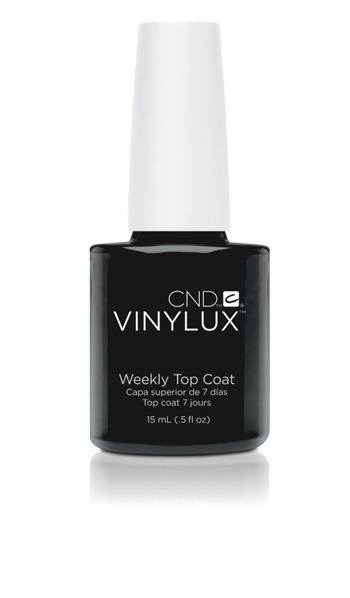 To protect Vinylux Weekly Polish and ensure week long wear. To provide a high-shine layer that resists scratches and dents.